As we age, physical fitness tends to take a backseat. With less activity comes a long list of ailments that can be prevented through simple exercise. The key to maintaining overall health as time goes by is to get out and start moving. 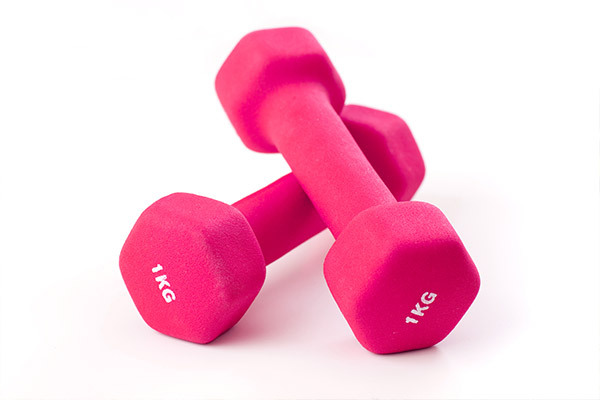 Whether it’s in the gym or at home – physical fitness is critical when it comes to your health. The bad news is that after the age of 40 or so, we tend to lose about 0.5 to 2 percent of muscle each year. In addition to osteoporosis, loss of muscle is a large factor in falls in older age, which can lead to fractures. The good news is there are natural ways to maintain muscle and avoid these health issues. The first goal is to avoid sitting or resting for long periods of time. Make sure you get up every hour, even if it is to stand or walk around the room. This small change is a significant first step in getting you moving. This does not mean going out for an hour-long walk if you have been sedentary. Start with small steps. The best way to do this is to get a simple pedometer and try and increase the number of steps gradually. Find creative ways to walk, rather than making it a chore. Park further away from the shops than you usually do. Warming up is about moving body parts slowly and through a full range of motion until your muscles get warmed up. This is the best thing to do before you start any exercise programme. Research has shown that static stretching, holding a position for several seconds or more, can sometimes be responsible for increasing the risk of injury, not decreasing the risk. Weight training doesn’t have to mean joining a gym and lifting heavy weights. Start with your own body weight. For example slowly getting up and sitting down on a seat mimics a squat exercise and can be done safely without fear of falling. There are many exercises out there that can be done with your own body weight. Progress to resistance elastic bands. Then advance to using weights. The good news is lifting lighter weights with more repetitions is just as effective. If you would like more advice please give us a call. An evaluation can be made as to which areas need to be addressed through stretching or specific adjustments before you begin the programme of exercise. Getting prepared will go a long way in preventing any injuries that could limit you from continuing.